ALPS FREE TRADE ZONE, SINGAPORE, January 21, 2019 /EINPresswire.com/ -- B&H Worldwide, the award-winning aerospace logistics provider, has established a second Control Tower at its climate-controlled facility in Singapore. The Control Tower leverages Singapore’s position as one of the fastest growing aerospace markets in the world, with connectivity across the Far East and Oceania. Its strategic location within the ALPS Free Trade Zone at Changi Airport provides an innovative and integrated information hub that will enable team members to proactively monitor customer shipments 24/7/365 at the same time as providing updates and full visibility to them. 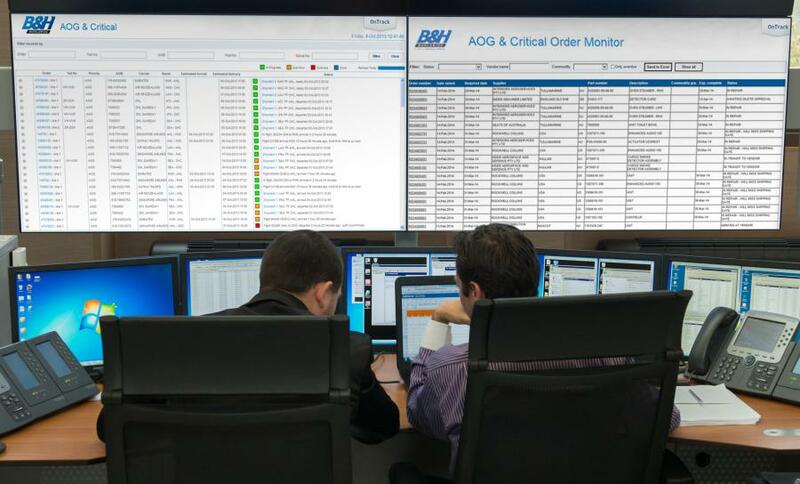 Recent business growth around the world has prompted the launch of the second 24/7 Control Tower to ensure B&H's standards for operational excellence are maintained. Operationally effective from mid-January 2019 at the Changi Airport facility, it will utilise the newly designed, next generation, FirstTrac computer system to manage shipments. A successor to the unique, market-leading OnTrack, both Time Critical and AOG consignments can be managed through FirstTrac. "This new initiative is an exciting start to 2019 and will give customers operating across multiple time-zones even greater confidence in our services. All our global solutions are under-pinned by cutting edge IT and state of the art facilities and the new Control Tower will enable our highly trained teams to maintain robust operating procedures," says B&H Worldwide Group CEO, Stuart Allen. B&H Worldwide, named the world's best-in-class aerospace logistics supplier, is the market leader in the highly specialist aerospace logistics industry. Over the last 30 years B&H has expanded through a combination of investment and acquisition to become a multi-national specialist logistics organisation. B&H Worldwide provides comprehensive logistics solutions for the management of aerospace components of any size and any description, anywhere in the world. We are solely dedicated to the aerospace industry. With our broad customer base of leading airlines, spare part stockists, MROs and repair vendors, we are committed to providing specialised solutions for handling critical parts, from aircraft engines and specialist avionics through to components and consumables. Operating across the globe from our strategically located hubs, supported by our highly specialised global AOG centre, B&H is ready to provide industry leading support for all your critical service needs, 24 hours a day, 365 days a year. The B&H brand has become a recognized market leader due to our innovative and IT centric solutions, which are highly tailored to integrate with our customer’s operating models and IT platforms, driving out the cost of process inefficiencies while optimising service performance. Information on B&H Worldwide's leading logistics solutions can be found at: www.bhworldwide.com.